This agreement applies as between you, the User of this Website and Footy Addicts, the owner(s) of this Website. Your agreement to comply with and be bound by these Terms and Conditions is deemed to occur upon your first use of the Website. If you do not agree to be bound by these Terms and Conditions, you should stop using the Website immediately.  Footy Addicts is a social platform (the “Platform”) that helps football enthusiasts (“Users”) all around London find people to play with and organise football games. Footy Addicts brings the football community together. Users can search for games by venue or date, interact with the rest of the group, give feedback & share real time information. Means Footy Addicts Limited trading as Footy Addicts 120 Baker Street, 3rd Floor, London, United Kingdom, W1U 6TU. means the website that you are currently using http://www.footyaddicts.com and any sub-domains of this site including www.footyaddicts.net and www.footyaddicts.co.uk and any other sub-domains unless expressly excluded by their own terms and conditions. By registering to use our Website, you represent and warrant that you are at least 16 years of age. When you complete our registration process you will create a password that will enable you to access our Website. You are solely responsible for maintaining the confidentiality of your password and agree not to share your password or let anyone else access your account. You will immediately notify Footy Addicts of any unauthorised use of your password or any other security breach relative to your account. You agree that Footy Addicts will not be liable for any loss or damage arising from your failure to comply with this section. Persons under the age of 16 should not use this Website. This site has certain areas that only members of Footy Addicts can access. If you are not a member or if your membership expires or otherwise ends you will not be able to access these areas. Members should not allow their membership details to be passed to another person in order to allow them unauthorised access to members' only areas or members' only services available on this website. Members who fail to observe this requirement may place their membership at risk. Subject to the exceptions in Clause 5 of these Terms and Conditions, all Content included on the Website, unless uploaded by Users, including, but not limited to, text, graphics, logos, icons, images, sound clips, video clips, data compilations, page layout, underlying code and software is the property of Footy Addicts, or our affiliates. By continuing to use the Website you acknowledge that such material is protected by applicable United Kingdom and International intellectual property and other laws. you will not systematically copy Content from the Website with a view to creating or compiling any form of comprehensive collection, compilation, directory or database unless given express written permission to do so by Footy Addicts. Where expressly indicated, certain Content and the Intellectual Property Rights subsisting therein belongs to other parties. This Content, unless expressly stated to be so, is not covered by any permission granted by Clause 4 of these Terms and Conditions to use Content from the Website. Any such Content will be accompanied by a notice providing the contact details of the owner and any separate use policy that may be relevant. This Website may contain links to other sites. Unless expressly stated, these sites are not under the control of Footy Addicts or that of our affiliates. We assume no responsibility for the content of such websites and disclaim liability for any and all forms of loss or damage arising out of the use of them. The inclusion of a link to another site on this Website does not imply any endorsement of the sites themselves or of those in control of them. As a member of Footy Addicts, you may link your account with other third party social web services including, without limitation to, Facebook and Twitter, which are subject to their own Terms and Conditions. If you decide to link your account with other third-party social web services, we may receive the personal information you have provided to those third party social web services (including, without limitation to, your name, profile picture, email address and all other information you have chosen to provide). You understand and agree that this personal information will be collected by Footy Addicts and will appear in your player profile. You are solely responsible for all information you post to the Website. You acknowledge that your public information may be accessible to the general public not only via the Website but also via third party websites related to Footy Addicts. You acknowledge that Footy Addicts reserves the right to monitor any and all communications made to us or using our System. By submitting Content you warrant and represent that you are the author of such Content or that you have acquired all of the appropriate rights and / or permissions to use the Content in this fashion. Further, you waive all moral rights in the Content to be named as its author and grant Footy Addicts a licence to modify the Content as necessary for its inclusion on the Website. Footy Addicts accepts no responsibility or liability for any infringement of third party rights by such Content. Unless a User informs Footy Addicts otherwise, in advance of posting, in writing, and Footy Addicts agrees to any terms or restrictions, all Content submitted is for publication on the Website and other such uses as Footy Addicts may deem appropriate under a royalty-free, perpetual basis. Footy Addicts will not be liable in any way or under any circumstances for any loss or damage that you may incur as a result of such Content, nor for any errors or omissions in the Content. Use of and reliance upon such Content is entirely at your own risk. Content submitted by Users is not screened by Footy Addicts prior to appearing online. We retain the right to exercise our sole discretion to remove or relocate any Content as we deem appropriate without the consent of the author. We shall be under no obligation to exercise such discretion. If you wish to enquire as to the removal of Content, please submit your query to [email protected] This does not constitute an undertaking to explain our actions. You acknowledge that Footy Addicts may retain copies of any and all communications made to us or using our System. You acknowledge that any information you send to us through our System or post on the Footy Addicts website may be modified by us in any way and you hereby waive your moral right to be identified as the author of such information. Any restrictions you may wish to place upon our use of such information must be communicated to us in advance and we reserve the right to reject such terms and associated information. In the event that any of the provisions of sub-Clause 9.2, above, are not followed, Footy Addicts reserves the right to suspend or terminate your access to the Service. Any Users banned in this way must not attempt to use the Website under any other name or by using the access credentials of another User, with or without the permission of that User. Footy Addicts makes no warranty or representation that the Website will meet your requirements, that it will be of satisfactory quality, that it will be fit for a particular purpose, that it will not infringe the rights of third parties, that it will be compatible with all systems, that it will be secure and that all information provided will be accurate. We make no guarantee of any specific results from the use of our Services. The information on this Website is not designed with commercial purposes in mind. Commercial use of the Content of this Website is forbidden under sub-Clause 4.2.1 of these Terms and Conditions. Any such use constitutes a breach of these Terms and Conditions and Footy Addicts makes no representation or warranty that this Content is suitable for use in commercial situations or that it constitutes accurate data and / or advice on which business decisions can be based. Whilst every effort has been made to ensure that all descriptions of services available from Footy Addicts correspond to the actual services available, Footy Addicts is not responsible for any variations from these descriptions. Whilst Footy Addicts uses reasonable endeavours to ensure that the Website is secure and free of errors, viruses and other malware, all Users are advised to take responsibility for their own security, that of their personal details and their computers. Footy Addicts accepts no liability for any disruption or non-availability of the Website resulting from external causes including, but not limited to, ISP equipment failure, host equipment failure, communications network failure, power failure, natural events, acts of war or legal restrictions and censorship. Footy Addicts reserves the right to alter, suspend or discontinue any part (or the whole of) the Website including, but not limited to, the products and/or services available. These Terms and Conditions shall continue to apply to any modified version of the Website unless it is expressly stated otherwise. To the maximum extent permitted by law, Footy Addicts accepts no liability for any direct or indirect loss or damage, foreseeable or otherwise, including any indirect, consequential, special or exemplary damages arising from the use of the Website or any information contained therein. Users should be aware that they use the Website and its Content at their own risk. Nothing in these Terms and Conditions excludes or restricts Footy Addicts’ liability for death or personal injury resulting from any negligence or fraud on the part of Footy Addicts. In addition, no advice or information (oral or written) obtained by the User from Footy Addicts shall create any warranty. You understand and agree that you download or otherwise obtain material or data through the use of our Website at your own discretion and risk and that you will be solely responsible for any damages to your computer system or loss of data that results from the download of such material or data. Your use of our Website is at your sole risk. Our Website is provided to you "as is" and on an "as available" basis. We specifically disclaim all warranties and conditions of any kind, whether express, implied or statutory, including but not limited to the implied warranties of merchantability, fitness for a particular purpose and non-infringement. We disclaim any warranties regarding the security, reliability, timeliness, and performance of our Website. We disclaim any warranties for any information or advice obtained through our Website. We disclaim any warranties for services or goods received through or advertised on our Website or received through any links provided by our Website, as well as for any information or advice received through any links provided through our Website. Your correspondence or business dealings with, or participation in promotions of, marketing partners or other third parties found on our Website or through our Website, including payment and delivery of related goods or services, and any other terms, conditions, warranties or representations associated with such dealings, are solely between you and such marketing partner or other third party. You agree that Footy Addicts shall not be responsible or liable for any loss or damage of any sort incurred as the result of any such dealings or as the result of the presence of such marketing partners or other third parties on our Website or located through the use of our Website. Footy Addicts provide tools that enable Users to arrange physical meetings or events. Footy Addicts do not supervise these meetings or events and are not involved in any way with the actions of any individuals at these meetings or events. Footy Addicts do not supervise or control the meetings or events organised between Users on the Website. Footy Addicts do not endorse the venues or venue owners arranged on the Website between Users. In addition, Footy Addicts do not attempt to confirm, and do not confirm, venue owner's purported identity. The User is responsible for determining the identity and suitability of others whom you contact via the Website. You agree that in no event shall Footy Addicts be liable for any direct, indirect, incidental, special, consequential or exemplary damages, including but not limited to, damages for loss of profits, goodwill, use, data or other intangible losses (even if Footy Addicts has been advised of the possibility of such damages), arising out of or in connection with our Website or this Agreement or the inability to use our Website (however arising, including negligence), arising out of or in connection with Third Party Transactions or arising out of or in connection with your use of our Website or transportation to or from Footy Addicts Gatherings , attendance at Footy Addicts Gatherings, participation in or exclusion from Footy Addicts Groups and the actions of you or others at Footy Addicts Gatherings. Our liability to you or any third parties in any circumstance is limited to the greater of (a) the amount of fees, if any, you pay to us in the twelve (12) months prior to the action giving rise to liability, and (b) £100. Some jurisdictions do not allow the exclusion or limitation of certain warranties or of incidental or consequential damages. Accordingly, some of the limitations in this Section 14 may not apply to you. You agree to indemnify and hold us and our officers, directors, shareholders, agents, employees, consultants, affiliates, subsidiaries and third-party partners harmless from any claim or demand, including reasonable legal fees, made by any third party due to or arising out of your breach of your representations and warranties or this Agreement or the documents it incorporates by reference, your use of our Website, Your Information, your violation of any law, statute, ordinance or regulation or the rights of a third party, your participation in a Footy Addicts Group, or your participation as an Organiser or Creator or Host or in Footy Addicts Meetings(whether the claim or demand is due to or arising out of your transportation to or from, attendance at, or the actions of you or other users at Footy Addicts Gatherings). Without limiting the foregoing, you, as an Organiser or Creator or Host, agree to indemnify and hold us and our officers, directors, shareholders, agents, employees, consultants, affiliates, subsidiaries and third-party partners harmless from any claim or demand, including reasonable attorneys' fees, made by any Footy Addicts Group or third party due to or arising out of your actions as an Organiser or Creator or Host, including your use of money paid to you by members of your Footy Addicts Group. Nothing in these Terms and Conditions shall confer any rights upon any third party. The agreement created by these Terms and Conditions is between you and Footy Addicts. All notices / communications shall be given to us either by post to our Premises (see address above) or by email to (email address). Such notice will be deemed received 3 days after posting if sent by first class post, the day of sending if the email is received in full on a business day and on the next business day if the email is sent on a weekend or public holiday. Footy Addicts may from time to time send you information about our products and/or services. We may also send you information regarding your account activity and purchases, as well as updates about the Website and Service as well as other promotional offers. You can always opt-out of our promotional e-mails at any time by clicking the unsubscribe link at the bottom of any of such e-mail correspondence; or you can opt-out of any marketing emails by managing your notifications, which is available as part of your Footy Addicts account. These Terms and Conditions and the relationship between you and Footy Addicts shall be governed by and construed in accordance with the Law of England and Wales and Footy Addicts and you agree to submit to the exclusive jurisdiction of the Courts of England and Wales.